The Cornell Institute for European Studies (CIES) advances scholarship and teaching by placing Europe in a global context and contributing to the training of a new generation of global citizens. We pursue an understanding of multi-faceted Europe’s contemporary relevance as well as its historical trajectory in shaping, disseminating and translating languages, ideas, images, policies, technologies, objects, information, food, and music, among other things. Historically, CIES was among the first major universities to combine Eastern and Western European studies, and today we update that perspective by discussing European countries as places of arrival and departure in multiple migration paths. This perspective critically acknowledges Europe’s role in the history of both modernization and colonization of countries around the world, as well as its character as an immigrant continent and diaspora of various peoples. 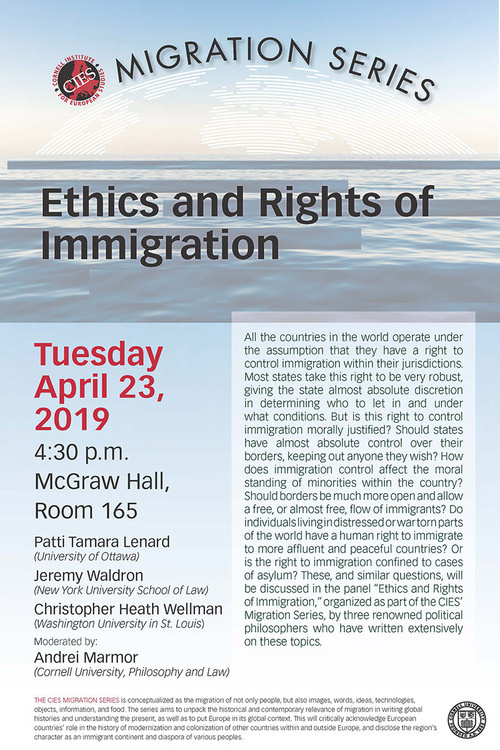 CIES is one of nine programs housed under the Mario Einaudi Center for International Studies, located in Uris Hall in the heart of Cornell’s campus in Ithaca, New York.